^ a b c ディンツェルバッハー, 植田訳 2000, pp. 225-226. ^ 深澤 2012, p. 772. ^ フェーヴル, 田中訳 1995, pp. 124-125. ^ a b c d e f g 深澤 2012, pp. 772-773. ^ 杉本 2010, p. 186. ^ a b 杉本 2015, p. 201. ^ a b c d 大田 2013, p. 106. ^ フェーヴル, 田中訳 1995, pp. 33-34. ^ フェーヴル, 田中訳 1995, pp. 33, 63-64. ^ フェーヴル, 田中訳 1995, pp. 59-61. ^ フェーヴル, 田中訳 1995, pp. 74-78. ^ 大田 2013, p. 25. ^ a b 久野 2002, p. 140. ^ a b Goodrick-Clarke 2008, pp. 216-217. ^ a b パートリッジ; 井上監訳 2009, Gilbert 「西洋エソテリシズム 概説」 宮坂訳, p. 423. ^ 大田 2013, p. 34. ^ a b c d e f g h i j 樫尾 1997, p. 63. ^ a b c d e f 杉本 2010, p. 188. ^ フェーヴル, 田中訳 1995, p. 34. ^ フェーヴル, 田中訳 1995, pp. 129-130. ^ a b c Greer 2003, pp. 481-482. ^ a b Lobel 2007, p. 27. ^ a b c Faivre 1987. ^ a b Faivre, Antoine (1994). Access to Western Esotericism. State University of New York Press. ISBN 0791421783. ^ a b c Faivre 2000, p. 4. ^ フェーヴル, 田中訳 1995, p. 64. ^ Faivre 1987, p. 465. ^ Faivre 2000, pp. 13, 19. ^ a b Faivre 2000, pp. 10-11. ^ OED 1989 v. XVII, p. 903. ^ Faivre 2000, p. 47. ^ Faivre 2000, p. 24. ^ フェーヴル, 田中訳 1995, p. 75. ^ フェーヴル, 田中訳 1995, p. 61. ^ フェーヴル, 田中訳 1995, p. 77. ^ フェーヴル, 田中訳 1995, p. 74. ^ Faivre 1987, p. 467. ^ Rix 2007, p. 98. ^ Goodrick-Clarke 2008, pp. 168–169. ^ フェーヴル, 田中訳 1995, pp. 78-79. ^ フェーヴル, 田中訳 1995, pp. 77-78. ^ Faivre 1987, p. 466. ^ Faivre 2000, pp. 18–19. ^ 高橋 1991, p. 998. ^ a b ルノワール, 今枝・富樫訳 2010, p. 167. ^ a b 吉永 & 松田 1996, p. 75. ^ a b c 杉本 2010, p. 187. ^ 杉本 2015, p. 187. ^ a b ニコラス・キャンピオン著 鏡リュウジ 監訳 2012年 『世界史と西洋占星術』柏書房 p.395. ^ a b ルノワール, 今枝・富樫訳 2010, p. 177. ^ ルノワール, 今枝・富樫訳 2010, pp. 178-179. ^ ルノワール, 今枝・富樫訳 2010, pp. 169-173. ^ 岩本 1981, p. 26. ^ a b 吉村 2010, pp. 101-102. ^ 杉本 2010, p. 190. ^ 吉村 2010, p. 107. ^ 大田 2013, pp. 27-28. ^ 大田 2013, p. 22. ^ 大田 2013, pp. 25-27. ^ 吉永 & 松田 1996, pp. 75-76. ^ a b c d e f 岩本 1981, p. 296. ^ a b 吉村 2010, p. 106. ^ ローザク, 志村訳 1978, p. 162. ^ 大田 2013, p. 45. ^ a b c d 吉村 2010, p. 102. ^ 岩間 2009, p. 67. ^ a b c d e f パートリッジ; 井上監訳 2009, Tingay 「神智学協会」 宮坂訳, p. 446. ^ a b パートリッジ; 井上監訳 2009, Tingay 「神智学協会」 宮坂訳, p. 447. ^ a b c d e f g カレルズ, 阿部訳 1996, pp. 76-77. ^ 吉永 & 松田 1996, p. 77. ^ a b 吉永 2010, p. 587. ^ 岩本 1981, p. 498. ^ a b 大田 2013, p. 180. ^ 吉村 2010, pp. 107-108. ^ a b 吉村 2010, p. 97. ^ 吉村 2010, pp. 97-98. ^ a b c d 吉村 2010, p. 108. ^ a b c d ルノワール, 今枝・富樫訳 2010, p. 170. ^ a b c 吉村 2010, p. 111. ^ 吉村 2010, p. 103. ^ 吉村 2010, pp. 102, 110. ^ ルノワール, 今枝・富樫訳 2010, p. 176. ^ a b c d e f g h i j 岩本 1981, p. 297. ^ 吉永 & 松田 1996, p. 76. ^ a b 岩間 2009, pp. 66-67. ^ a b 教皇庁 2007, p. 43. ^ H. P. Blavatsky, The Key to Theosophy, sec. 1, n. 2. ^ 教皇庁 2007, pp. 42-43. ^ 大田 2013, p. 47. ^ a b ルノワール, 今枝・富樫訳 2010, p. 169. ^ ルノワール, 今枝・富樫訳 2010, pp. 169-170. ^ a b ルノワール, 今枝・富樫訳 2010, p. 184. ^ Goodrick-Clarke 2008, p. 216. ^ a b ルノワール, 今枝・富樫訳 2010, p. 172. ^ ルノワール, 今枝・富樫訳 2010, pp. 165, 181. ^ ルノワール, 今枝・富樫訳 2010, pp. 180-181. ^ 吉村 2010, pp. 108-111. ^ a b ルノワール, 今枝・富樫訳 2010, p. 179. ^ ルノワール, 今枝・富樫訳 2010, pp. 179-180. ^ a b ルノワール, 今枝・富樫訳 2010, p. 180. ^ a b ルノワール, 今枝・富樫訳 2010, p. 181. ^ a b ルノワール, 今枝・富樫訳 2010, pp. 181-182. ^ ルノワール, 今枝・富樫訳 2010, pp. 170-171. ^ 吉村 2010, p. 109. ^ a b 吉村 2010, p. 115. ^ a b c ルノワール, 今枝・富樫訳 2010, p. 168. ^ a b c ルノワール, 今枝・富樫訳 2010, p. 171. ^ a b 大田 2013, p. 24. ^ a b 吉永 2005, pp. 279-280. ^ a b 大田 2013, p. 26. ^ ゴドウィン, 松田訳 1995, pp. 143-144. ^ 吉村 2010, pp. 102-103. ^ ルノワール, 今枝・富樫訳 2010, p. 173. ^ ルノワール, 今枝・富樫訳 2010, p. 175. ^ ウィルソン, 中村訳 1995, p. 45. ^ a b ルノワール, 今枝・富樫訳 2010, p. 174. ^ a b 吉村 2010, p. 105. ^ 岩本 1981, p. 292. ^ a b 吉村 2010, p. 104. ^ 大田 2013, p. 27. ^ 岩本 1981, p. 294. ^ 大田 2013, pp. 56-57. ^ a b 大田 2013, p. 57. ^ 大田 2010, p. 57. ^ 大田 2013, pp. 57-58. ^ 大田 2012, p. 58. ^ a b c 吉永 2010, p. 585. ^ 岩本 1981, p. 80. ^ 大田 2013, p. 53. ^ パートリッジ; 井上監訳 2009, Tingay 「アルケイン・スクール」 宮坂訳, p. 457. ^ 吉村 2010, pp. 103-104. ^ ルノワール, 今枝・富樫訳 2010, pp. 205-206. ^ ルノワール, 今枝・富樫訳 2010, pp. 206-207. ^ ルノワール, 今枝・富樫訳 2010, p. 207-209. ^ 吉永 2010, pp. 584-585. ^ ルノワール, 今枝・富樫訳 2010, pp. 209-212. ^ a b 大田 2013, p. 38. ^ 大田 2013, pp. 79-82. ^ 大田 2013, p. 44. ^ 大田 2013, pp. 46-47. ^ 大田 2013, pp. 47-48, 60. ^ 杉本 2010, pp. 190-191. ^ 大田 2013, ch. 2. ^ a b c d 『図解 西洋占星術』 羽仁礼、新紀元社、2009年、No.099. ^ ストーム, 高橋・小杉訳 1993, p. 38. ^ a b ストーム, 高橋・小杉訳 1993, p. 37. ^ 岩間 2009, p. 19-54. ^ 岩間 2009, pp. 54-55. ^ 岩間 2009, pp. 55-56. ^ a b 岩間 2009, p. 127. ^ 岩間 2009, pp. 127-128. ^ a b c 岩間 2009, p. 70. ^ 吉村 2010, pp. 123-131. ^ 吉村 2010, pp. 132-147. ^ 吉村 2010, pp. 147-149. ^ 鎌田 1999, pp. 268-269. ^ 『モダニズムの惑星 - 英米文学思想史の修辞学』 巽孝之、岩波書店、2013年、p.73-80. ^ 吉永 2010, pp. 586-587. ^ 吉永 2010, pp. 590-597. ^ 樫尾 1997, p. 59. ^ 岩本 1981, pp. 498-499. ^ 鎌田 1999, p. 437. ^ ローザク, 志村訳 1978, pp. 156-159. ^ ルノワール, 今枝・富樫訳 2010, p. 182. ^ ルノワール, 今枝・富樫訳 2010, pp. 182-183. ^ ローザク, 志村訳 1978, pp. 164-165. ^ ローザク, 志村訳 1978, pp. 156, 165. ^ 大田 2013, pp. 242-244. ^ 大田 2013, pp. 47-48. ^ 大田 2013, pp. 52-53. ^ 大田 2013, p. 50. ^ a b c d 大田 2013, p. 51. ^ ストーム, 高橋・小杉訳 1993, p. 26. Faivre, Antoine (1987). 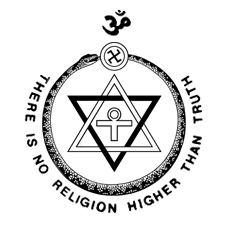 “Theosophy”. In Eliade, Mircea; Adams, Charles J.. The encyclopedia of religion. 14. New York: Macmillan. ISBN 9780029094808. Faivre, Antoine (2000). Theosophy, imagination, tradition : studies in western esotericism. SUNY series in Western esoteric traditions. Translated by Christine Rhone. Albany, NY: State University of New York Press. ISBN 9780791444351. Greer, John Michael (2003). The New Encyclopedia of the Occult. Llewellyn Publications. Harrison, Vernon (1997). H.P. Blavatsky and the SPR : an examination of the Hodgson report of 1885. Pasadena, CA: Theosophical University Press. ISBN 9781557001177. http://www.theosociety.org/pasadena/hpb-spr/hpbspr-h.htm. Lobel, Diane (2007). A Sufi-Jewish dialogue: philosophy and mysticism in Baḥya Ibn Paqūda's "Duties of the heart". Jewish culture and contexts. Philadelphia, PA: University of Pennsylvania Press. p. 27. ISBN 978-0-8122-3953-9. Rix, Robert (2007). William Blake and the cultures of radical Christianity. Burlington, VT [u.a. ]: Ashgate. ISBN 9780754656005. Oxford English Dictionary. 17. Oxford University Press. (1989). p. 903.